Ever since AAA went to Camp Wannamakeagame, he hasn't been his usual self. He's been moody and secretive, locking himself up in his room and constantly muttering about Project X. When he finally decided to step out of the house and go on a trip, Abigail was relieved, only to realize that his trip was part of his project. She finally decided to take things into her own hands and organized another Daily Dare in the hopes of taking AAA's mind off his project and giving him a much-needed break. Here's hoping it works! Daily Dare's done for another year, and Abigail is grateful to all who made it a success. Exciting as it was, she's hoping AAA will be back in form to take the helm again next year. I'm Abigail and I'm running Daily Dare this year as a way to lift AAA's spirits. Playing games, challenging other gamers to beat his scores, and giving out prizes - this is just what he needs to get back to his old self! Join us, won't you? Um, we can't count your game plays or give you prizes unless you sign in. Sorry! Sure you want to just go play? Um, I didn't get your name. How can you challenge me or AAA if we aren't properly introduced? I can't believe I'm saying this, but I actually missed Daily Dare! I'm afraid I cant say the same for my brother, who spent the last two years obsessing over his stupid project. Hopefully a few weeks of non-stop games and challenges will bring him back to his old self. I suggest you read the FAQ before you begin, so you know what to expect. If you're sure, we should get started with the game. Just keep in mind that you can't change your mind. Are you ready? Just because I haven't been practicing doesn't mean I'm easier to beat! Practice or no practice, I'm still the best gamer around. Are you sure about this? Hold on, I just noticed you don't have a partner yet and today is a Team Challenge. I'd hate for you not to get an extra prize, so hurry and find a partner if you want that item. Are you ready? Oh, so you're taking on my score. Daring. But today is a Team Challenge! If you find a partner, you can earn an extra prize together. Do you still want to challenge me first? Team Challenge. I love the smell of panic in the morning. You still haven't found a partner yet. Do you still want to challenge me first? Hold on, I just noticed you don't have a partner yet and today is a Team Challenge. I'd hate for you not to get an extra prize, so hurry and find a partner if you want that item. Also, choosing me will mean any invitations you get for the other challenger will be removed. Are you ready? iOh, so you're taking on my score. Daring. But today is a Team Challenge! If you find a partner, you can earn an extra prize together. Choose me now, and I'll make sure any pesky invitations on Abigail's behalf are destroyed. Are you ready? Much as it pains me, I feel I ought to remind you that today is a Double Dare, and you can earn both our prizes if you challenge AAA and win. If you can't defeat him, though, you forfeit my prize too, so choose carefully. Do you still want to challenge me? Are you sure about this? Today's a Double Dare challenge - those who challenge me and beat my score get my prize and Abigail's but those who fail get nothing! Are you sure you want to challenge me? Your new treasure has been added to your inventory. You can find the items in your inventory. This item was sent to your inventory. These items were sent to your inventory. Today, you have a choice. Would you like a swanky prize or a Battledome boost? You can't change your mind later, so are you sure that is what you want? You do not currently have an active neopet. 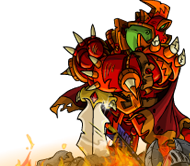 Please make one of your Neopets active and return to collect your Battledome stats. You want to send %s an invite to my Team Challenge? Are you sure? Yay, let's play! Should I send that Team Challenge invite to %s?